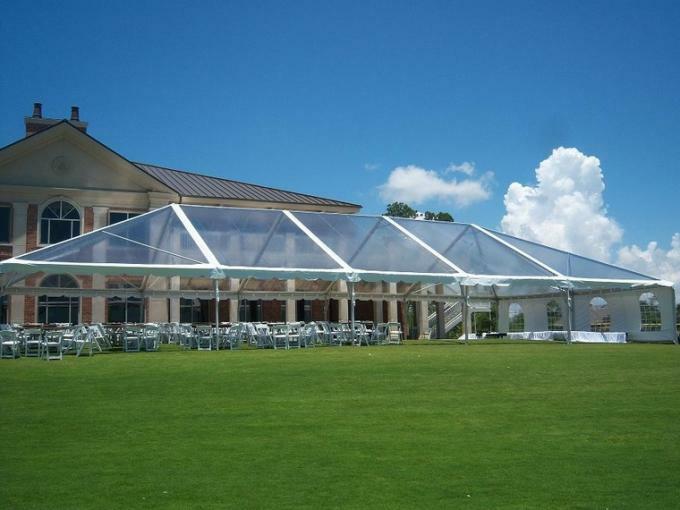 Wedding Party tent clear span width is 6 meters, 8 meters, 10 meters, 12 meters common size. Side height is 3 meters. Tent structure is unit modular design, the length can be increased or decreased by 5m bay distance. 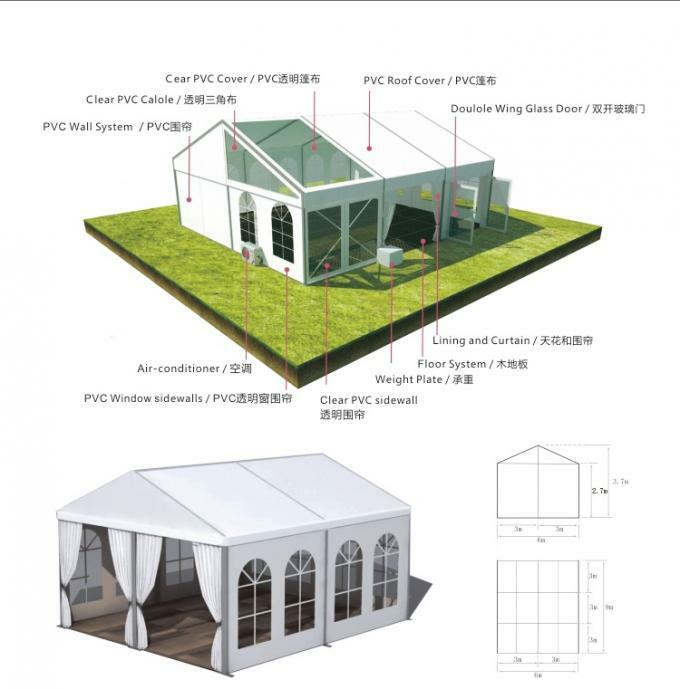 Covering is PVC coated polyester fabric that comply with the European DIN4102B1, M2 standards.there are many optional accessory for wedding tent, to make the tent more functional & widely used. 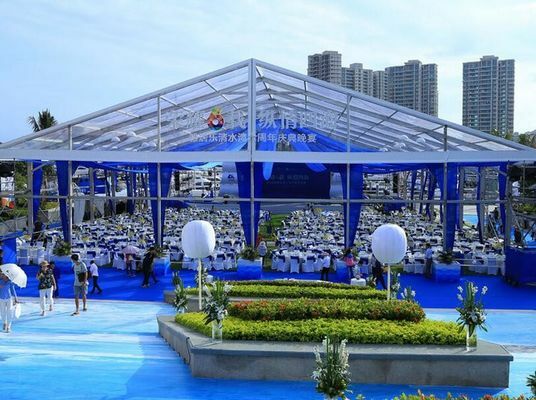 Wedding tents are designed to be safe, wind resistance speed up to 80 km/h (wind load 0.3 Kn/m2), demolition installed fast, convenient, storage size is small. Widely used in outdoor wedding activities. 1. Leading Advanced Technology: We have the leading technology in the tent producing industry, and being the tent industry leader. Large size tent is our speciality. 2. Short Delivery Time: production can be finished within 30 days, even if it is a large size tent. 3. Long Life: Structural steel elements are made according to DIN 1615;1984 standards, secured by anti-corrosion coating, hot dip galvanized (also from the inside), so the steel construction is not susceptible to unfavorable weather conditions and provides a longer lifespan. 4. Great After Sales Service: In order to install the tent prefectly, we can supply easy understanding assemble instruction and drawing. We also can send a technician to guide the installation FOR FREE if need. Please contact us if you urgently need to know Wedding Party Tents information and price.